I'll be honest, I can't imagine a world without apps. Having a smartphone and laptop isn't enough: I need software that will streamline my day and make my devices as useful as possible. Here's 6 that you need to be using if you want to have a better workday. Keep your screens organized without losing functionality. 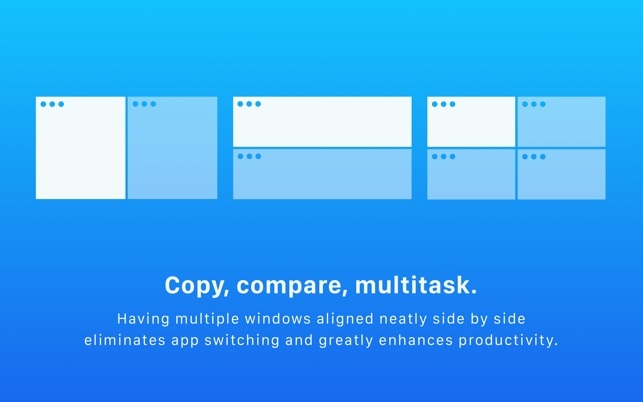 Magnet snaps windows in clean, easy-to-manage segments on your screen, making it easy to compare data side-by-side. The best part of Magnet is it works with any combination of screens and devices, so if you're using two monitors (you really should), you can have total control. Magnet is also operable by keyboard shortcuts and menu bar icons. Calling all doodlers, visual learners, and creatives! You need this app if you used to draw elaborate diagrams in your school notebooks and like to map out your thoughts. 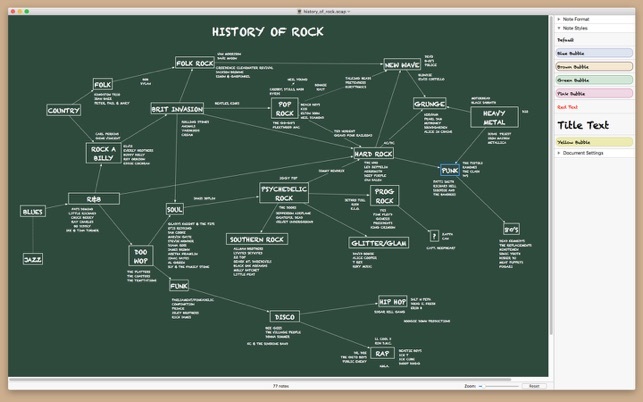 Scapple is a digital notebook that makes it easy to make clean connections between ideas and completely freeform your notes. You can easily organize your ideas in a way that makes sense to you, with options to customize and export notes. You know the only way to be totally secure and safe online is by having varied and complicated passwords. But you also know that there's no way you're going to remember all of that. 1Password does it for you, while also generating complicated, impossible-to-guess passwords to keep your information safe. You can store and organize passwords, personal documentation, addresses, and more, with options to create multiple vaults to keep different areas of your life separate. 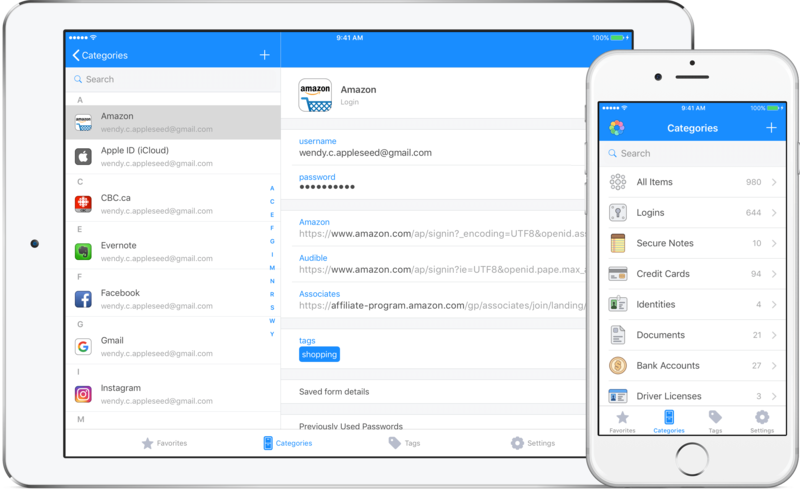 1Password also uses 2-factor authentication and live security alerts to make sure your accounts are not compromised, and easily migrates data between your devices (and only your devices). Working all day is tiresome enough, adding personal errands to the mix sometimes seems like overkill. AnyList mitigates stress brought on by putting dinner on the table, making your day a little more manageable. 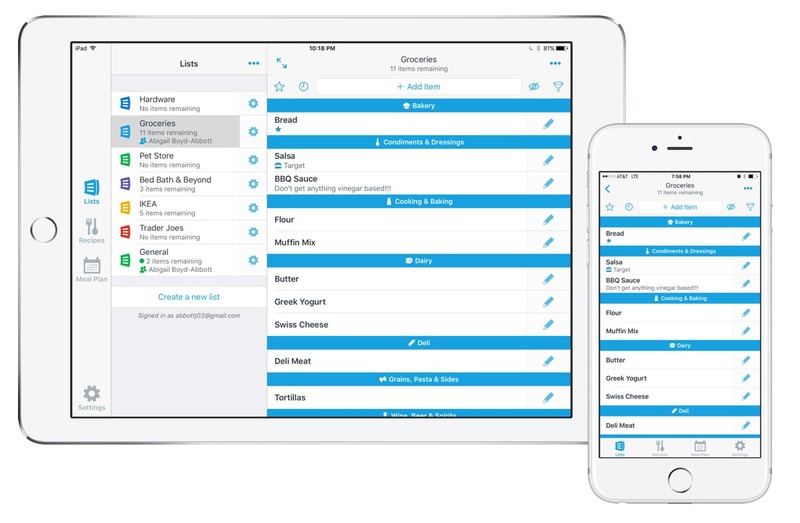 AnyList is a to-do list, recipe box, and shopping list all in one. You can create organized grocery lists that can be immediately shared with a spouse or roommate to make sure no shopping trip falls victim to miscommunication. Also store and organize recipes from all over the web then add ingredients to the aforementioned shopping list automatically. I am a self-professed SelfControl fiend. Since discovering this Mac application in high school, I've been able to manage my time much better and wean myself off of distracting websites and push notifications. In school it was essential to getting research papers written, and as an adult it helps me get those boring personal errands done after work, when I'd much rather be watching Netflix. SelfControl is simple: create a blacklist of sites that derail focus: social media, online shopping, streaming...whatever your downfall is. Then set the SelfControl timer. The timer can be as short as a few minutes or as long as 12 hours, and for that duration you cannot access your blacklist. No exceptions. Even if you restart your computer or delete the app, you're banned from those blocked sites for the time you set. This is, admittedly, quite an extreme approach, but if you're prone to distraction or really need to crank out a project, it seriously helps. If you're not familiar with the benefits of the Pomodoro technique, check out our blog post here! 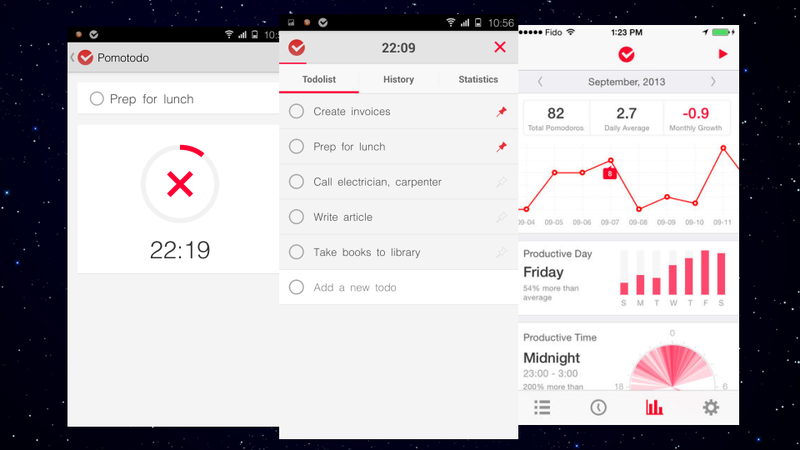 The Pomotodo suite of applications makes it easy to keep track of time if you're using the Pomodoro method. The app also syncs across your devices and allows you to import your to-do list and tag your tasks to make sure you're using your time effectively.